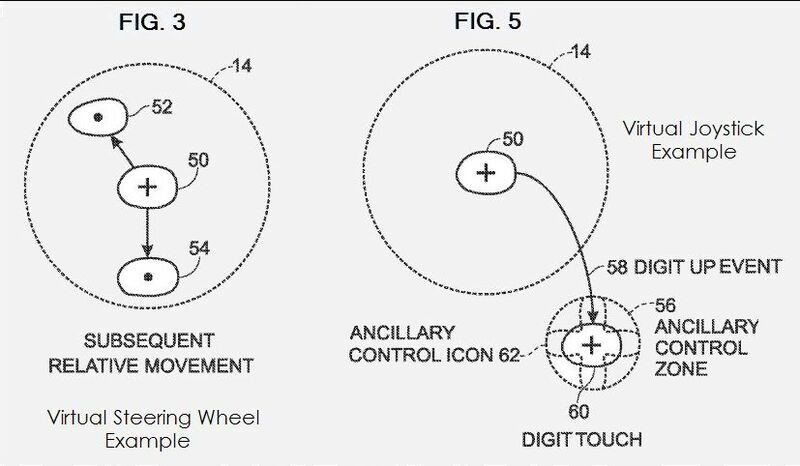 Microsoft filed a new patent for a "virtual controller". Microsoft's big splash at this year's E3 was SmartGlass which they pimped as the ability to control your Xbox using peripherals you already own like iPads, other tablets or smartphones. The press conference showed Joe Madden calling plays in Madden as a way for SmartGlass to enhance games you play with your controller. But a new patent dug up today suggests there might be more to SmartGlass than just neat ways to control your Xbox dashboard or to watch Netflix movies; you may not even need the old controller anymore. The figures and descriptions for a "virtual controller" appear to ape the accoutrements of the standard Xbox controller on any kind of device. Soon, you may be able to play games on your Xbox using whatever device you have in front of you at the time. 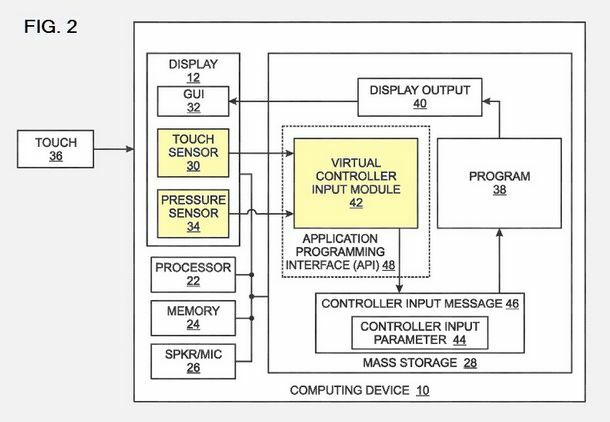 The patent description states "the virtual controller implements a Microsoft Xbox virtual controller." Well, that makes it clear. From the images it is possible to deduce that Microsoft wants us to interact with the Xbox using whatever device is available to consumers, regardless if it is made by Microsoft or not. Adopting an open system strategy for the Xbox might be the final push that will ensure the next version of the console completes the transition from "gaming box" to "home entertainment system". 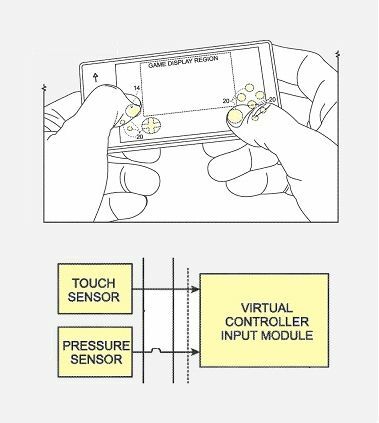 The similarity to the Wii U Gamepad isn't an accident, either. On the off chance that Nintendo's experiment with asynchronous play being the next big thing in gaming, Microsoft has a platform to deliver those goods too. Now, be aware these are just patent documents and not a complete strategy, but looking at the whole picture of Kinect, SmartGlass, the update to the My Xbox Live app on Apple's store and Microsoft is positioned extremely well for the next generation.